Cumbria set to become a hub for family businesses from across the country as it hosts The Family Business Conference at the Rheged Centre in Penrith on Wednesday 12th October. As an area known for its outstanding beauty and tourism industry, it’s no surprise that Cumbria is host to a huge range of family businesses many of whom stand on the global stage. The county is set to become a hub for family businesses from across the country as it hosts The Family Business Conference at the Rheged Centre in Penrith on Wednesday 12th October. 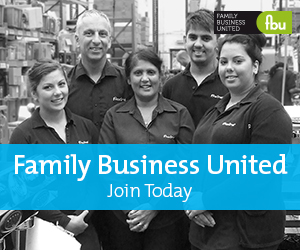 Family businesses from across the UK are being encouraged to capitalise on the opportunity. Organiser Sue Coulson of Coulson Associates is a Regional Partner for national network Family Business United and has impressive form coordinating tailored events for family businesses. Coulson Associates have already hosted events featuring Jonathan Warburton, Mark Cropper of Croppers PLC, Roger Smith of Thomas Graham and Sam Rayner of Lakeland as part of their work as delivery partner for the Cumbria Business Growth Hub Family Business Network, who are also delighted to be supporting The Family Business Conference and are keen to see family businesses from across the country make the most of the opportunity this event presents. Created specifically to help address the unique challenges family businesses face, guest speakers include John Stevenson MP. He will relay the latest decisions and discussions as part of his remit as Chair of the All-Party Parliamentary Group for Family Business. Set up in 2011 the Group aims to strengthen communications between the family business sector and parliament. Tony Keen MD of international engineering firm SN Group; Sarah Dunning of the award winning Westmorland Ltd; and family members from English Lakes Hotels and Hawkshead Relish will join family business experts from national businesses such as Armstrong Watson, PWC, Lamont Pridmore and Capita. A lively panel debate brings old and new generations together and will be addressing some of the more contentious issues which arise when running a family firm. Workshops created to tackle family business woes, along with time to network with some of the country’s leading businesses mean this event, in association looks set to become a permanent fixture in the family business calendar.